Already stuffed with a fantastic dinner (which I shall post about soon! 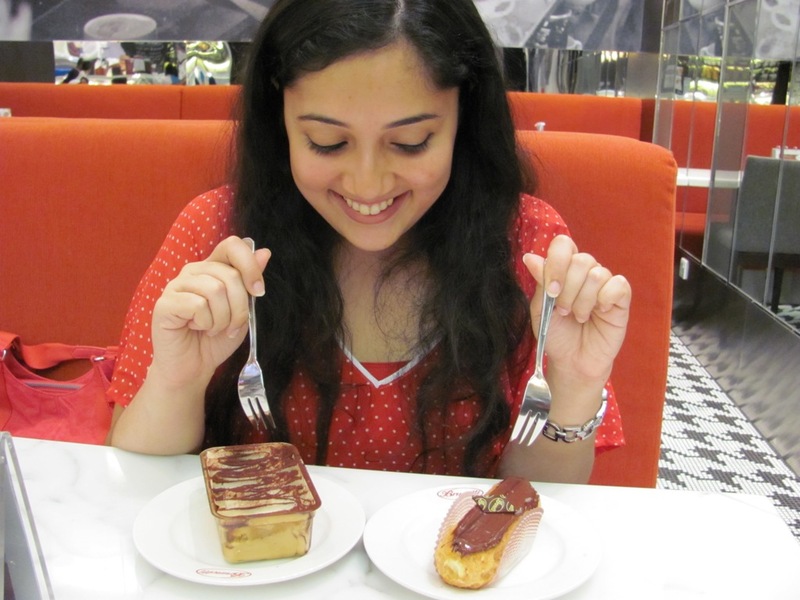 ), I bullied my friend into going for dessert. 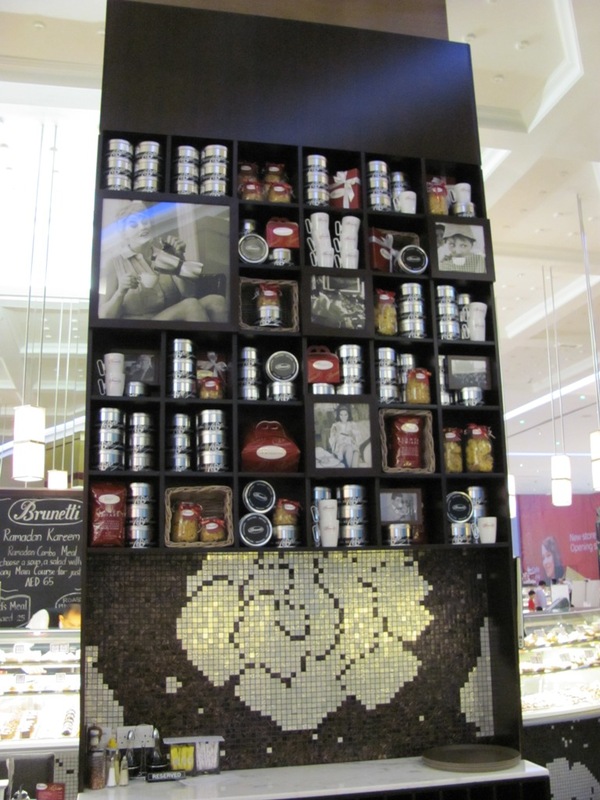 We had heard good things about Brunetti, and, as we were already in The Dubai Mall, decided to check it out for ourselves. 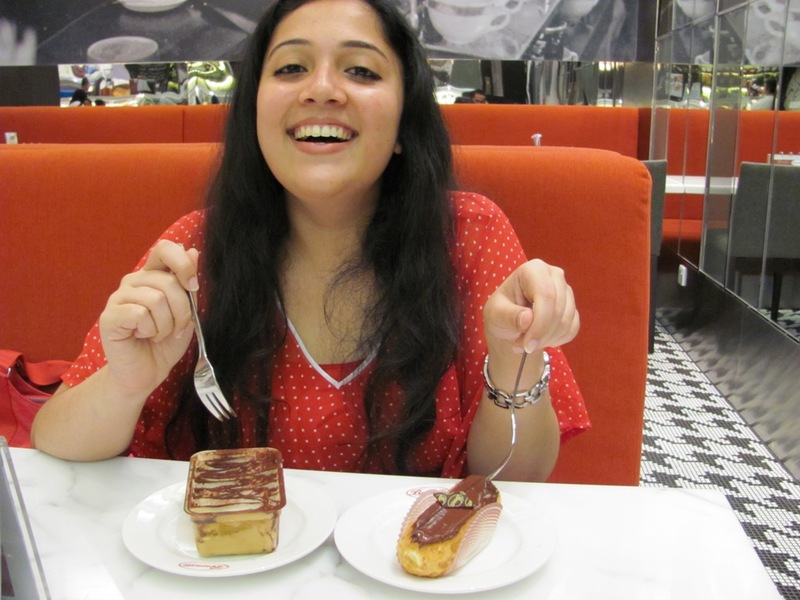 If you are a dessert-lover, or indeed, a food-lover, you will love this place. Shelves from floor to ceiling stacked with sugary goodies and displays of mouth-watering desserts awaited us and made me gasp in delight. Sadly I had to stop at ordering two desserts; if my stomach could take it, I think I would’ve ordered one of everything. 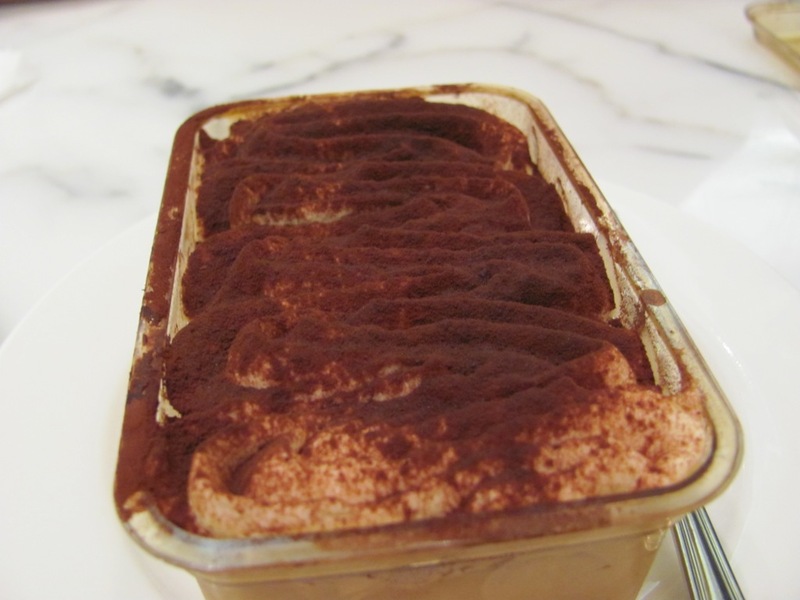 I found no fault with the tiramisu (but then again, I am partial to it!) – quite a winner. 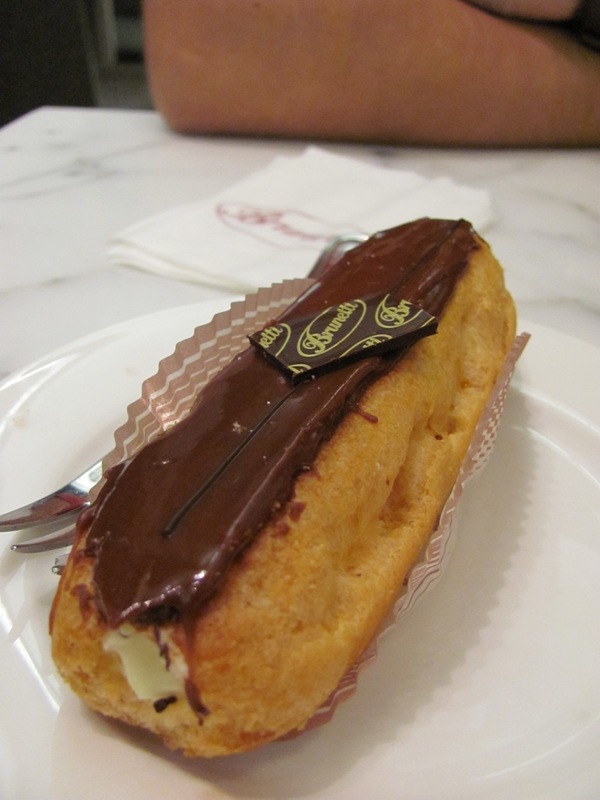 The éclair was good too, although perhaps many might find it too sweet. 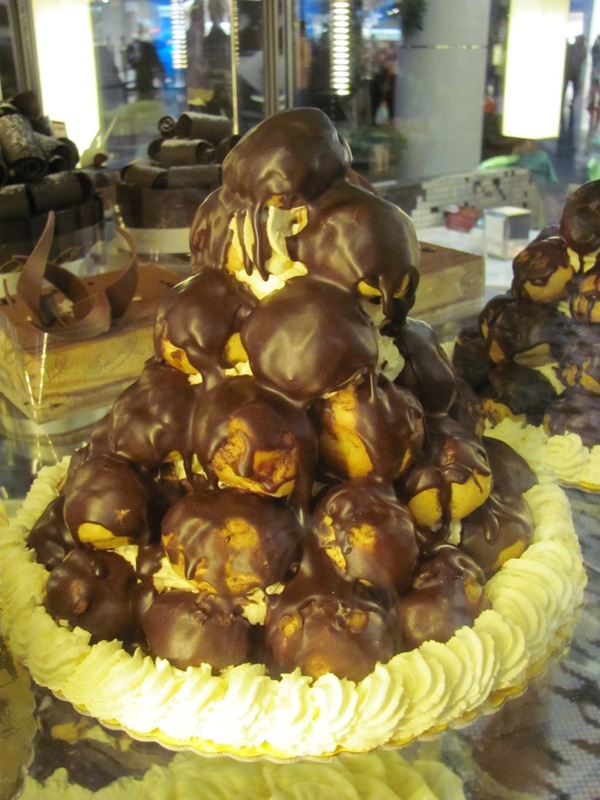 If you cannot handle too much sugar, I suggest trying another dessert. 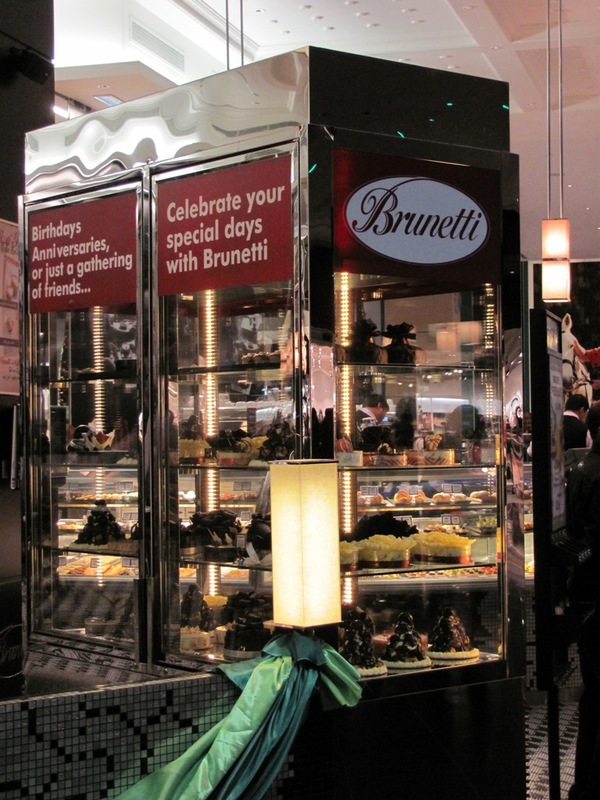 Brunetti’s deserves a repeat visit. Why didnt i visit your blog 3 weeks ago? i was in Dubai 2 weeks ago!